≈ Comments Off on LOOK AT LESLIEVILLE! 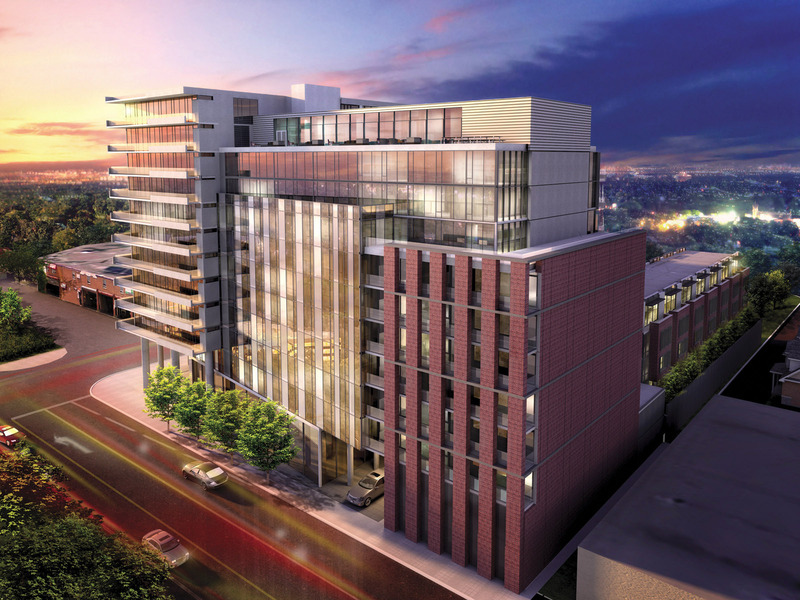 An exciting transformation is going on in historic neighbourhoods across Toronto, with new condominiums and amenities breathing new life into these well-loved sections of the city. Just look at Leslieville, which The New York Times referred to as a destination for dining, shopping and living. I agree! A trendy pocket in Toronto’s downtown east, Leslieville is a former industrial area that became known as the city’s light and film district when large film studios were added. Today, an exciting eclecticism is transforming the area. Leslieville’s boundaries stretch north-south from the CN railway line and Gerrard Street to Eastern Avenue and Queen Street East, and east-west from Coxwell Avenue to Broadview Avenue and Empire Avenue. Talk about pedestrian friendly – Leslieville has a WalkScore of 93! Within the area, you will find a delightful array of cafés, pubs, antique and vintage furniture shops, galleries, fashion and design stores, and specialty food spots such as Leslieville Cheese market and Rowe Farms. There is also a popular farmers’ market in the area for the freshest of fresh. Restaurants range from coffee shops to fine dining, and Leslieville is considered one of Toronto’s best brunch destinations! Lake Ontario, parks and bicycle trails, and the DVP and Gardiner Expressway are close by, and the area is well serviced by the Dundas and Queen streetcars. For entertainment, local residents have the Opera House with its concerts and events, and of course, Crow’s Theatre, which will take up residence on the ground floor of The Carlaw. A catalyst for residential development in the area, The Carlaw is Streetcar’s successful condominium at Dundas and Carlaw. Its modern exterior incorporates brick elements that pay tribute to the former industrial buildings that populated neighbouring streets. Soon, it will be joined by The Taylor, Streetcar’s newest condo at this intersection. 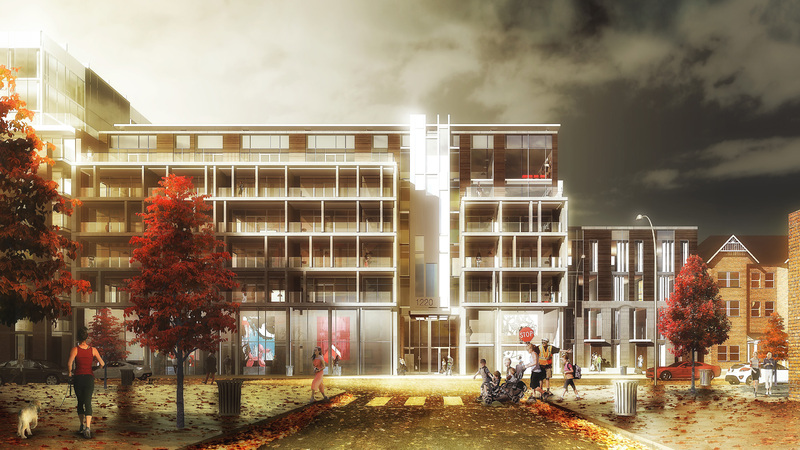 Like its sister residence, The Taylor will include exterior elements that reflect Leslieville’s historic warehouses. The area’s evolution is attracting a wide variety of new residents, from businesspeople who work in the Financial District to more bohemian creative types who thrive on artistic activity. Wherever you choose to live in Leslieville, you are sure to enjoy a quality of life that features fabulous food and fun!